It moved back to its original home, with new breakfast options. Open daily from 7 a.m. to 1o p.m.
(SPOT.ph) Naci has been shuttling back and forth for three years. 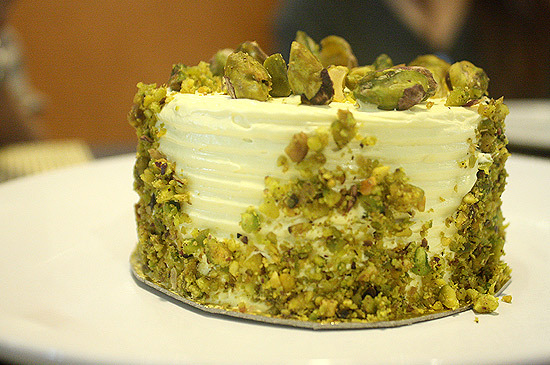 First in Fox Square Greenhills, then in Bonifacio High Street, and now back in Fox Square, where, with a slight name change and an all-day breakfast menu, they're finally hoping to get settled. 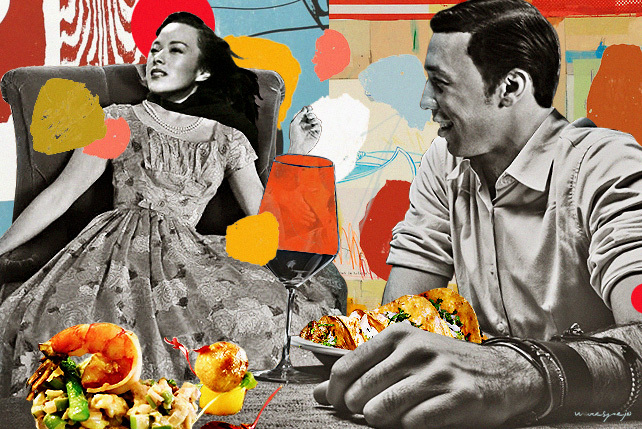 It's been a dizzying exchange, but this is what you do to keep in touch with the magic of the late Chef Ed Quimson, who helped developed the restaurant's culinary identity when it opened in 2011. 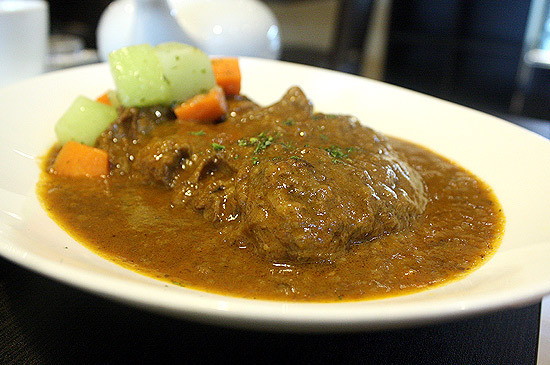 From Naci Comfort Food to Café Naci, owner Nadine Nocom retains Chef Ed's fusion favorites: the Adobo Cannelloni, the Beef Kaldereta Lasagna, Shepherd's Pie. 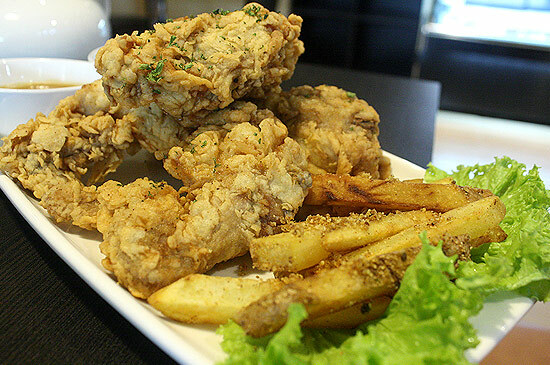 His Fried Chicken (P585) is just as crispy as before. Five pieces (half a chicken) are enveloped in a crunchy, velvety batter that takes us back to those buttery chicken pops from childhood house parties. Pieces of mushroom speckle the sauce and paint an earthy tone to the rich profile. You can tell that Naci thinks not just about composition, but consumption. 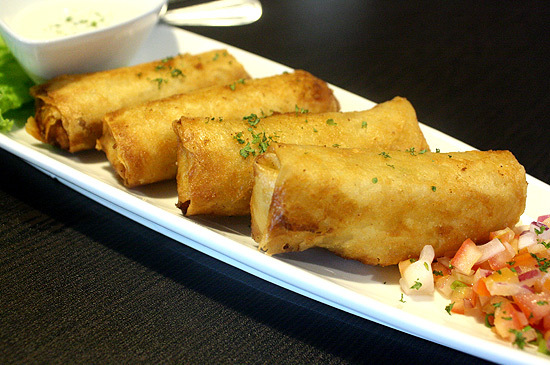 A messy taco is transformed into a neat fried spring roll or lumpia (P240). Chunky ground meat fills the golden wrapper, with homemade salsa and sour cream rounds up the illusion. 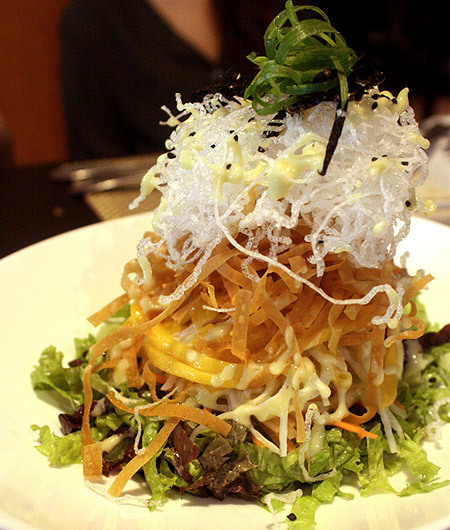 Lettuce is shredded to manageable ribbons in the Kani Mango Crunch Salad (P270), emphasizing the symphony in the fried wonton and vermicelli, mangoes, crabsticks, and wasabi mayo. The all-day breakfast menu is Café Naci's latest offering. Here, they've created the doubly sinful Bacon Liempo (P250). Belly is sliced bacon-thin and grilled to a crisp. 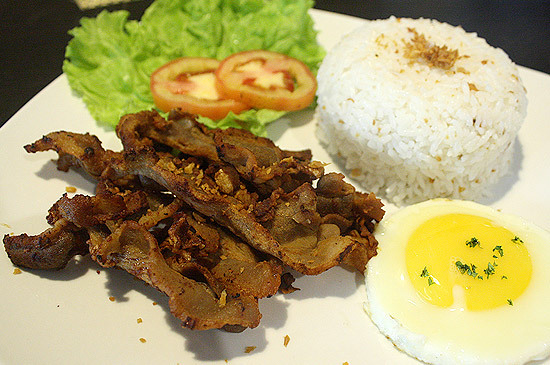 Like a triple threat-oh, excuse us, treat-a bowl of vinegar is served on the side, tapa-style. 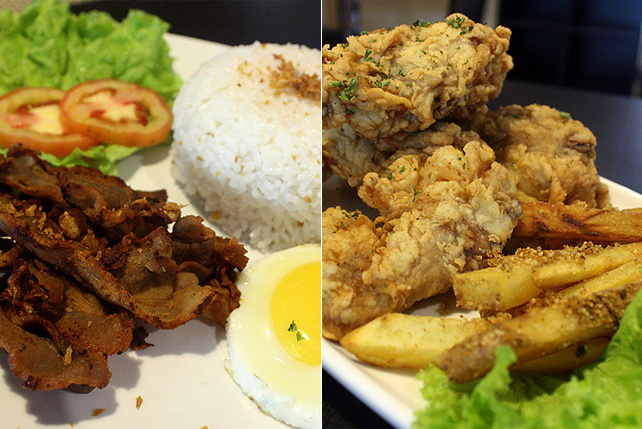 Garlic rice and a fried egg make this a perfect meal any time of the day. The breakfast options weren't created by Chef Ed. "They're by the chefs who were trained by him," says Nocom. His thoughtful creativity and relatable fusion reflect in dishes like Oatmeal Arroz Caldo and Oatmeal Champorado. As a teacher, he’s succeeded. 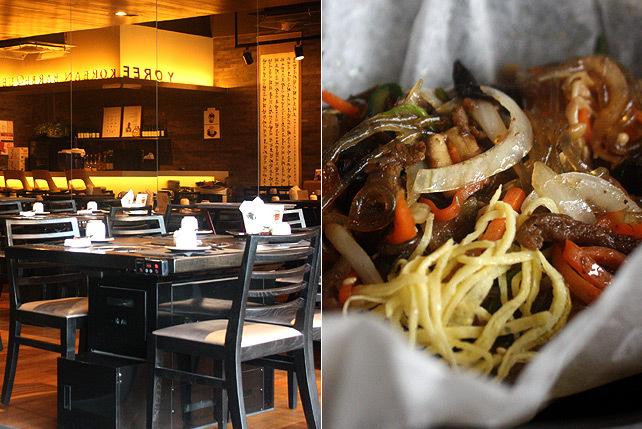 The easygoing chef will always leave his mark for his pioneering fusion, but his influence and legacy continue at Naci.